When the CBRS Alliance introduced itself early last year as an outfit bent on promoting LTE services across shared spectrum in the 3.5 GHz band, five out of the six founding members’ names — Google, Intel, Nokia, Qualcomm and Ruckus — were familiar to those in general network technology circles. But the other member, Federated Wireless, might have drawn some blank stares from those not in the thick of the emerging Citizens Broadband Radio Service (CBRS) market. 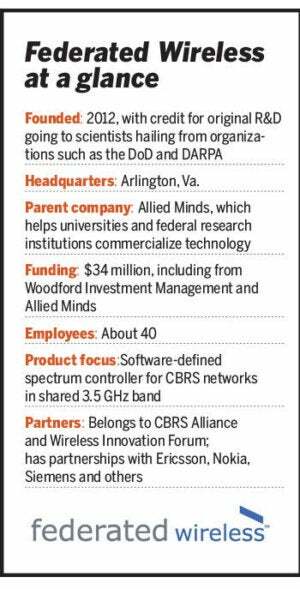 Interestingly enough, though, it was Federated that drew up the charter for this alliance of companies promoting CBRS in light of new FCC rules opening up 150 MHz of spectrum for new commercial use. 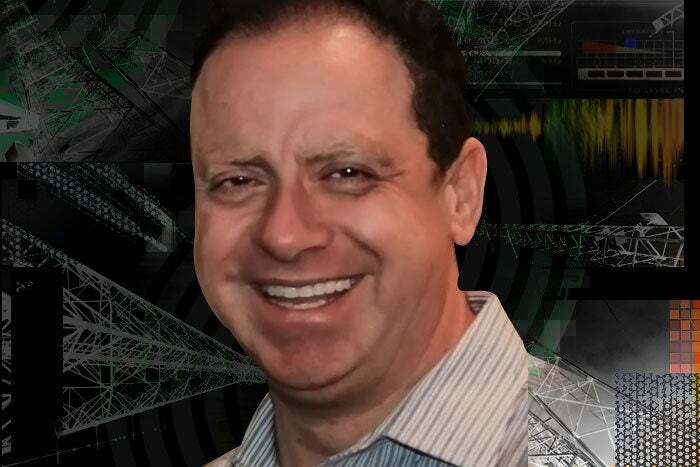 What’s more, Federated Wireless CEO Iyad Tarazi, previously a VP with Sprint and Nextel, had also co-chaired the Wireless Innovation Forum, which the FCC is working with to establish standards for the CBRS band to ensure that devices used in the newly opened 3.5 GHz shared spectrum play nicely together. MORE: CBRS — Your ticket for building a private enterprise LTE wireless network | FAQ: What in the wireless world is CBRS? Tarazi now sees the early work in this field paying off, such as the FCC doling out licenses to conduct technology trials in the 3.5 GHz band as well as the Commission giving conditional approval to Federated’s Spectrum Controller, a cloud-based service that will enable service providers and enterprises to safely exploit the new shared spectrum. A slew of CBRS demos at the recent Mobile World Congress in Barcelona (“Our tech ended up being in at least 8 booths of various partners!” Tarazi says), plus a bevy of alliances among software, hardware and service vendors, all point to momentum behind CBRS as well. I spoke with Tarazi to dive in deeper into where CBRS is headed and how enterprises could benefit. A lot of the hurdles to create a private LTE system are going away. People are demonstrating how to use it either for a private IoT-type system like with GE or some people like Nokia were showing how you can use it for NASCAR-type applications. I met with American Tower and they’re talking about doing a private LTE network for a lot of racetracks and other buildings. Ruckus was showing CBRS 3.5 and how you can fully integrate it within a Wi-Fi network and keep it completely private and do a lot with it. Dell was looking at how to embed it in laptops and create private applications out of it. The spectrum is 150 MHz [editor’s note: 3550-3700 MHz band], which is more than a carrier owns today. Verizon owns, without the millimeter waves, 114 MHz. This is 150 MHz — half of it will be general use, which will be coordinated. To use it you need a [Spectrum Access System] and sensors called [Environmental Sensing Capability]. Our focus is building the SAS, which is an active management system, plus the sensors that go with it in order to make the spectrum available. It’s a massive amount of spectrum. We expect this to be 10 times more efficient than licensed spectrum. That’s where the sharing benefit comes in and that’s why people are watching this. The other benefit is that 3.5 everywhere else in the world is becoming a 5G band, in the U.S. it is not because it’s in use, so this sharing system allows the U.S. to participate in 5G over time — not just use 4G in this band — and have global coordination and harmonization. [Definitely faster than Wi-Fi.] What happens in LTE is you’re able to run fewer access points and with significantly higher power because of the coordination. In LTE everybody transmits at full power and just negotiates resource blocks between them. That's vs. Wi-Fi, where when they start seeing each other and congestion, they start reducing the power in order to avoid overlap. That delta between them and the coordination that comes naturally with LTE allows for higher power, higher speed and consistency in coverage and all the security that comes with it. One of the things we worked hard on is to bring the economics of this system to be Wi-Fi economics, so the opportunity is very compelling because you get Wi-Fi economics and all this improvement on top of it. What we ended up doing was bundling our product. We now have roughly 15 OEMs integrated with our [spectrum access system (SAS)]/spectrum controller, including Ericsson, Nokia, Ruckus and SpiderCloud… We also have 30 trials that are signed for people to begin to experiment with this system. We have about 55 companies working with us to transform their business, such as a cable company trying to get into wireless, a carrier trying to extend their network, industrials trying to do more fixed IoT applications. Based on all the trials and everybody we’ve been working with for the last 3 years we’ve been able to come up with a product that I think is a little more consumable. The only way you can make this SAS, the management system and all that work is to do it in a cloud fashion because of the massive amount of data and the scale needed. What we did is bundle the SAS and ESC (the sensors), with some additional APIs and our model is completely software defined. It allows anybody to control how the spectrum controller works and it’s programmable, automatable and so on. Let’s say you’re a big enterprise customer and you want to use this. You use the APIs to get visualization, to get all the data about what the environment looks like, you can use it to plan for what spectrum is available, you can decide what to activate, what spectrum rules you want to implement based on whatever mix-and-match radios you have access to. Then you can get feedback on the environment and set automated rules to change the way the spectrum is allocated along the way. If you think of the continuum between SDN, which is a cloud-based software-managed flow manager for the transport layer, and then you go up to NFV, which is what people do for translating all the core components into a software model, if you just extend that one more step up to the spectrum layer you will get the software-defined spectrum controller that we’re building. This way people are able to build complete software-based cloud applications for the entire set of capabilities that they need. No, that’s really the shocking part, we really don’t have anybody outside of us, even the Wi-Fi players are coming in… Apple will follow the market, Apple will get here. We’ve been careful at this stage not to focus on the handset makers because that relationship is typically owned by the carriers. What we have focused on is making sure the chipsets and modems and all of the capabilities are coming this way. We know now that both Intel and Qualcomm have the chipsets and will have all of the pieces needed for Apple and Samsung and other Android handsets starting later this year and into next year. I estimate a wave of handsets in the middle of next year and another wave that might include Apple in 2019, but we don’t have that confirmed. We can read it just based on carriers and others adopting it and the chipsets and technology available and what usually happens is a natural progression.